The senior anti-graft officer charged with pocketing at least $1.7 million of public money was back in court yesterday with a defence lawyer in tow. Corrupt Practices Investigation Bureau assistant director Edwin Yeo Seow Hiong is accused of siphoning off funds from his organisation, forging a receipt and using the proceeds of crime to gamble. He had told the court last month that he did not intend to engage a defence lawyer. He faces 21 charges, including eight counts of criminal breach of trust as a public servant. The 39-year-old, who was dressed in a white shirt and black trousers, did not speak during the brief hearing. He is being represented by lawyer Tan Hee Joek. Lapses in supervision and poor financial controls led to the loss of public funds, an independent review has already concluded. Last month, bureau chief Eric Tan said his organisation would learn from the case and strengthen its safeguards. He and his predecessor Soh Kee Hean were later sent warning letters. 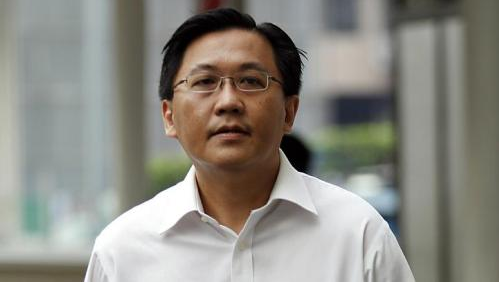 Mr Eric Tan is now due to be replaced by current Singapore Workforce Development Agency chief executive Wong Hong Kuan. The case against Yeo will resume next month.